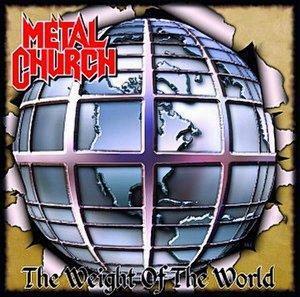 The Weight of the World is the seventh studio album by thrash metal band Metal Church. It was released through the Steamhammer/SPV label. This album marks the beginning of Metal Church's third major line-up, with the addition of Ronny Munroe (vocals), Jay Reynolds (guitar), and Steve Unger (bass). This album is also the last to feature Kirk Arrington on drums. It is hailed by critics and fans alike as Metal Church's comeback album. The prevalent themes of this album include crime, war, rejection, and madness.